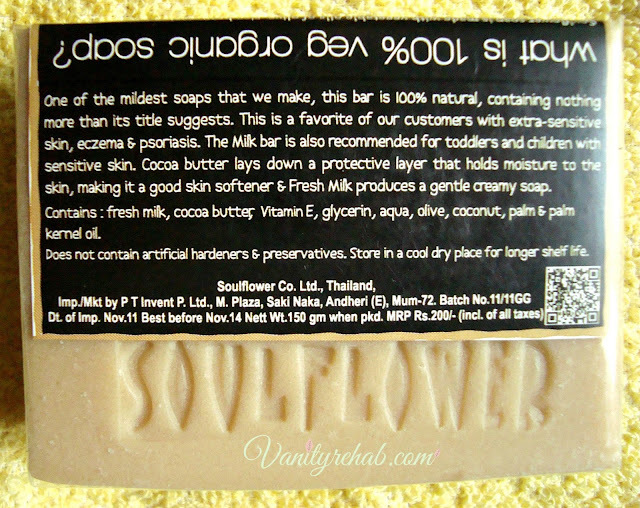 Vanity Rehab: Review: Soulflower Milk Cocobar Soap. Review: Soulflower Milk Cocobar Soap. Let me tell you one thing... This soap is clearly not the one for me! Read on to know why. 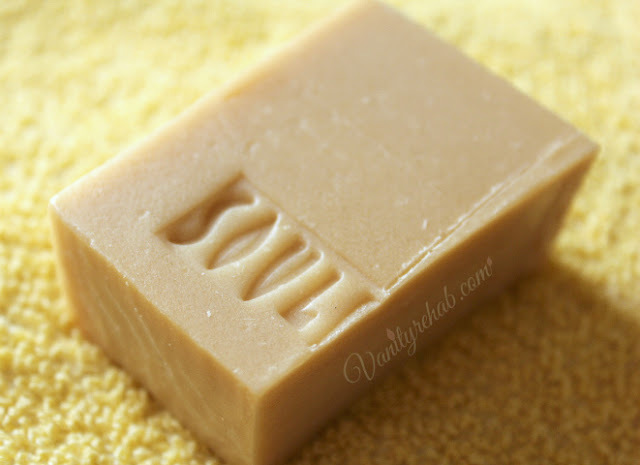 Soap cut in half.This makes it easy to use and also is the best way to prolong it's life. My experience: Mixed. Because, it was hate at first sniff but love at first use. It smells like heavy and dense unsweetened condensed(slightly burnt) milk and i felt like gagging whenever i tried to bathe with it because i hate such dense plain 'milk'y odours. 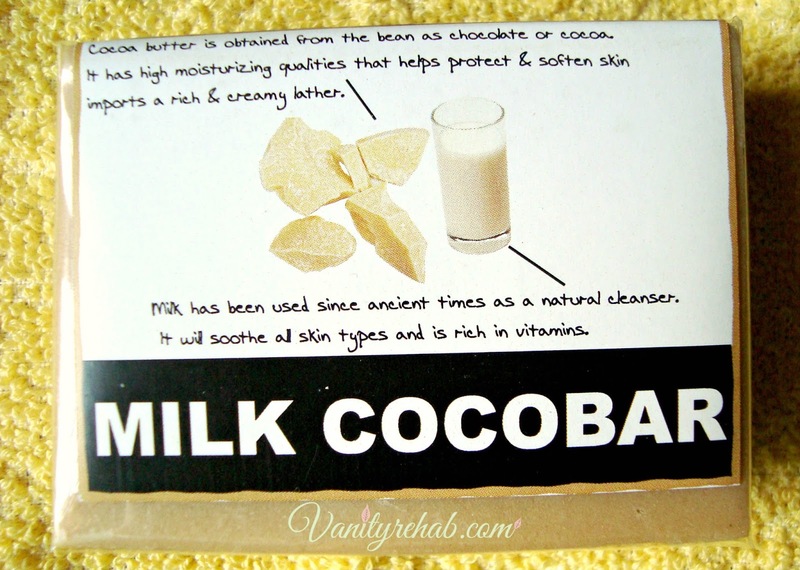 Otherwise,it's a very mild and moisturising soap, is made with all natural ingredients and will be an excellent soap for sensitive skin and also for those who suffer from eczema and psoriasis. So,if the 'milk'y odour doesn't bother you, please go for it. Availability: Available at soulflower.biz , naturalmantra.com , flipkart.com , nykaa.com and many other online stores. My rating: 2.5/5. And this is according to my personal experience with the odour.